The number, 28 million unique bank customers, is relatively poor for a country of more than 180 million people. For the banks to get their next unique 30 million customers, they need to improve their games. There are many ways banks have been working to bring more customers into their systems. Some have worked, some are struggling, but on average, the progress is evident. To begin, it is becoming clear that Point of Sale (PoS) terminal will not work in Nigeria, in the short-term. Despite the massive investment on PoS, merchants do not really seem to like it. It looks like a good technology but it has major underlying weak points: it requires them to run generators/inverters to keep them going and the money is not in the bank immediately. The electricity one is a big challenge in Nigeria. A point of sale system is a combination of software and hardware that allows merchants to take transactions and simplify key day-to-day business operations. But when you move to USSD (Unstructured Supplementary Service Data) Banking, you will be happier. We think that Nigerians have chosen what they really like. USSD is very promising and certainly what could do the magic, to get more Nigerians into the banking sector. 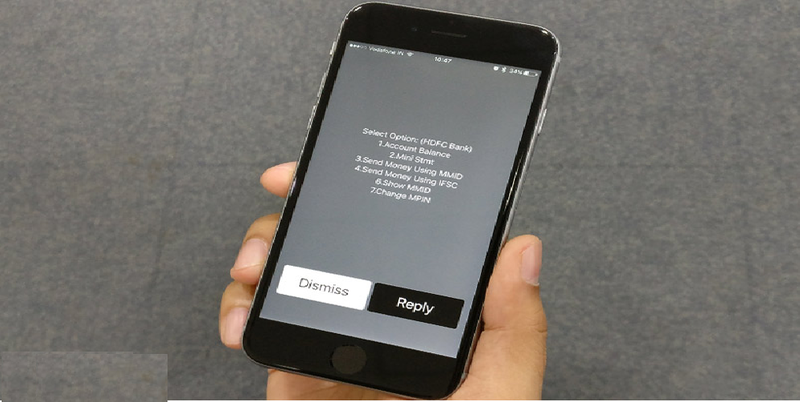 USSD is a Global System for Mobile(GSM) communication technology that is used to send text between a mobile phone and an application program in the network. Applications may include prepaid roaming or mobile chatting. USSD is similar to Short Messaging Service (SMS), but, unlike SMS, USSD transactions occur during the session only. With SMS, message scan [sic] be sent to a mobile phone and stored for several days if the phone is not activated or within range. Yes, this USSD technology can be used for banking in a way that anyone with mobile device can have his or her life simplified. All you need is to dial a code provided by your bank, and through that interaction, you can do banking, in different forms. For example, Stanbic IBTC, the first bank that launched USSD Banking in Nigeria, offers a USSD mobile banking with features including getting the balance and statement for all your accounts, inter account transfer, beneficiary payments and bill payments e.g. DSTV subscriptions. It is very easy and simple to use, and most banks in the nation have since launched similar products. According to GTBank, it has on-boarded 3 million customers, within a year, largely because of USSD banking. 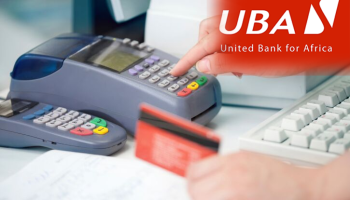 Guaranty Trust Bank (GTBank) has confirmed that the total value of transactions processed on its USSD-enabled payment and service delivery platform has exceeded NGN1 trillion. GTBank’s 737 platform is a USSD-based service delivery channel and its success prompted several other Nigerian banks to rollout their own USSD-powered mobile banking services, according to MD Segun Agbaje. “Within a year of the introduction of the service, the bank recorded an uptake of over three million customers, with over N1 trillion in transaction on the platform. The platform had gained ubiquitous acceptance and global recognition,” said Agbaje. The success of the USSD platform does show that it is a channel entrepreneurs should pursue in Nigeria. The records of GTBank is similar to what other banks are experiencing, at different levels. The main opportunity lies outside plugging into the banks, with apps and APIs. Largely, those features will not bring many new people in the system. Sure, you do not need new people to be successful. But to create value, that will even make the banks like to work with you, you need to solve the biggest problem in the industry – get more Nigerians into the banking sector. There are some herdsmen that do more transactions weekly than some consulting firms in Lagos. They move with their cash and people still store their money under pillows, in Nigeria. Someone has to offer value (yes, they need to see the value) for them to change those bad habits. We need to find a way to get many under-banked citizens to do banking. Besides the massive infrastructure provided by Interswitch, Paystack and Flutterwave, the core aspect of the financial inclusion will come from those firms that pursue money transfer that connect rural areas. Products/startups Quickteller, Paga, Voguepay, Remita, Cashenvoy, PayWithCapture, AmplifyPay, ETranzact, KongaPay etc must find ways to make more people do banking without necessarily being bank customers. There is value at the base of the pyramid and USSD banking seems to offer a roadmap to unlock it. These startups should work to drive agency banking with new technologies, anchored by USSD, that will simplify the process and eliminate most of the inherent challenges, in serving under-served citizens. I understand the challenges startups are facing with USSD issuance owing to telcos not providing support, preferring banks, yet, they can come together to have scale, to assure the telcos they can deliver volume, necessary for the troubles. Nigeria’s mPesa will likely evolve out of USSD, becoming a brand that is universal, offering banking services, even though it may not be a bank product. To make this work will require working better with the banks and providing them assurances that fintechs are not there to destroy them. While the banks can compete in the cities, the fintechs owing to their cost model, are actually more positioned to explore some of the informal sectors which remain untapped. In my opinion, the fintechs that address the challenges of bringing new customers into the banking sector will be the ones banks will value as critical partners. The ones that feed or plug into their existing customers will be marginal partners. So, finding ways to connect farmers, herdsmen, petty traders, etc, while not easy, is where the value lies. USSD banking provides the architecture to build that future and our fintechs must explore business models that can make such work, for them, the citizens and the nation. I expect an amalgam of many bank USSD products in coming years: they become inter-operable, brand-agnostic and cost-efficient to unlock values in villages and communities.